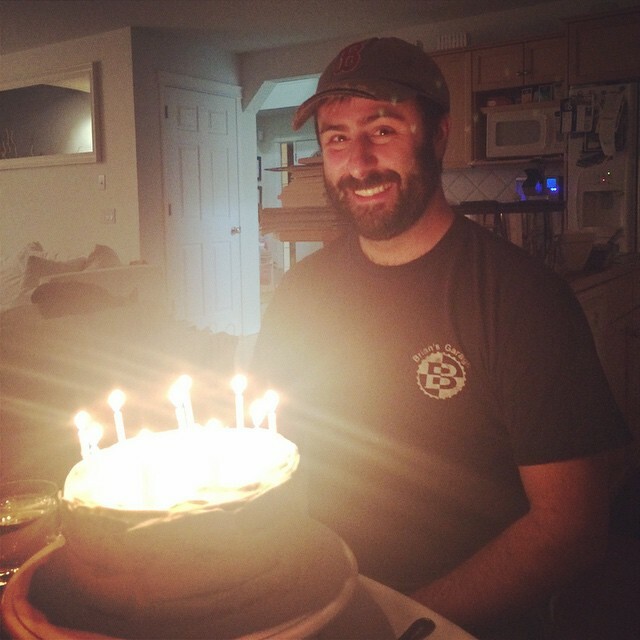 Today was Josh’s 35th birthday (LUCKY) and when asked what he wanted for his birthday dinner, he had ONE answer – MEATLOAF. 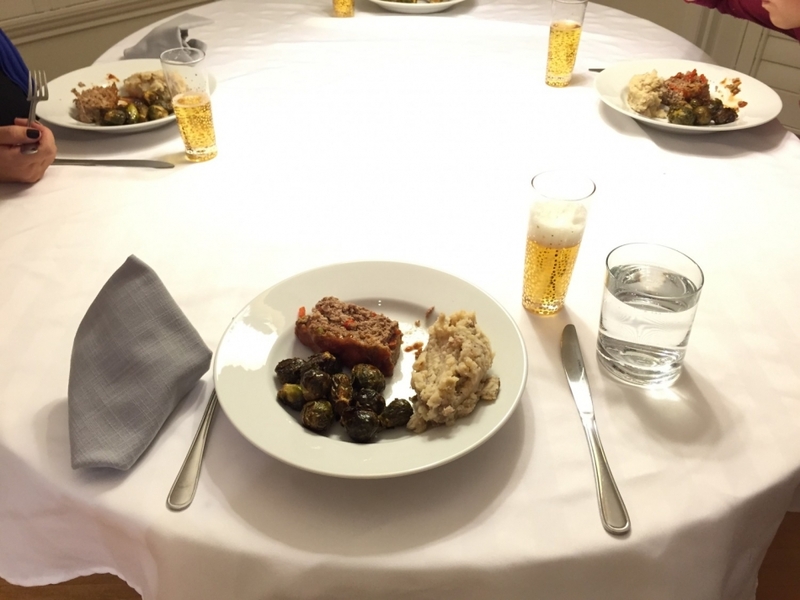 His mom always makes him meatloaf on his birthday, and it was kind of a daunting task to take on. Inspiration struck though, when I was looking at meatloaf recipes on Pinterest. One of his most favourite restaurants at Walt Disney World is the 50’s Prime Time Cafe, and sure enough – I could find their meatloaf recipe easily online! Paired with roasted Brussels sprouts and mashed potatoes, it was truly a Pinteresting meal. Here are the recipes I used – each one was a winner! 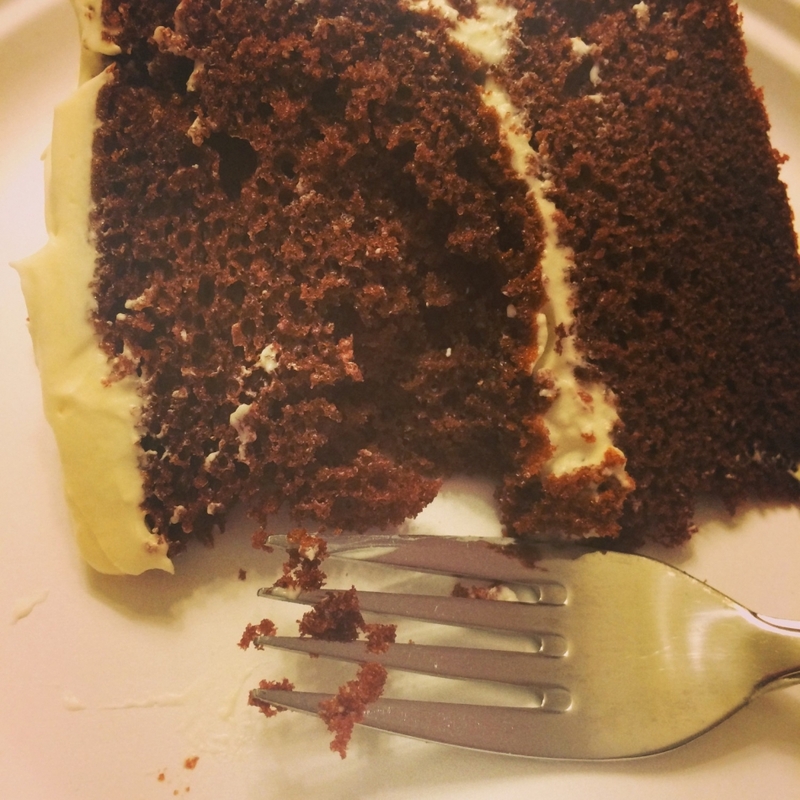 As for cake – he jokingly asked for a McDonald’s birthday cake – I guess they used to have a chocolate cake there with vanilla frosting for birthday parties – so back to Pinterest I went, and found a couple of recipes that fit the bill! The whipped cream cheese frosting is one of the BEST frostings I’ve ever tasted – cream cheesy without being overly sweet. It worked really well with a Duncan Hine’s Devil’s Food cake mix! All in all it turned out to be a successful day on our end, I hope Josh enjoyed it as much as we did! Happy Birthday Josh, we love you!